Daily Prompt: Tell us about the top five places you’ve always wanted to visit. GO! Ha! Sometimes I add “GO!” to the end of my emails or text messages….funny stuff. I’ve always wanted to go to France…and then I did in June 2001. That was a great 3 weeks with my high school French class. My sister and BFF also went, so double bonus. We spent 2 weeks touring France, and then 1 week with a French family. Those are some funny stories I might have to share at some point. No photos to share now. 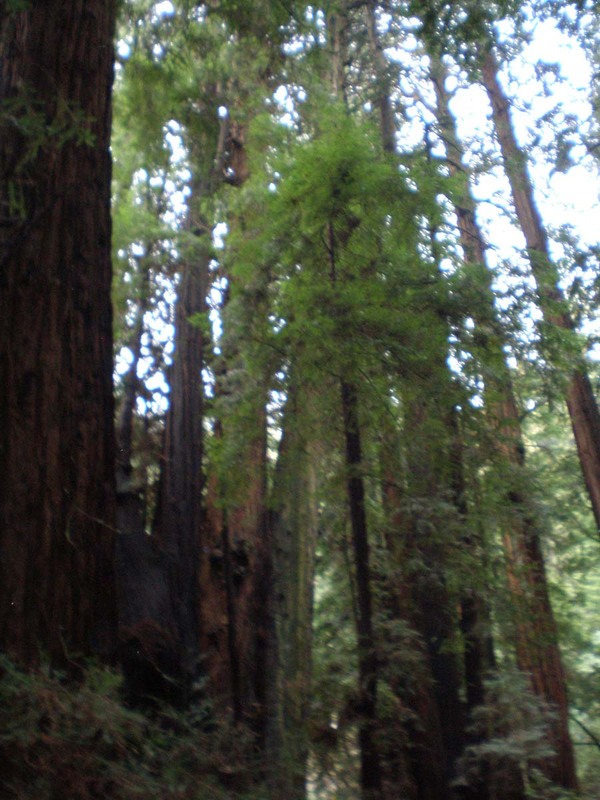 Muir Woods, California…almost got lost in here too! 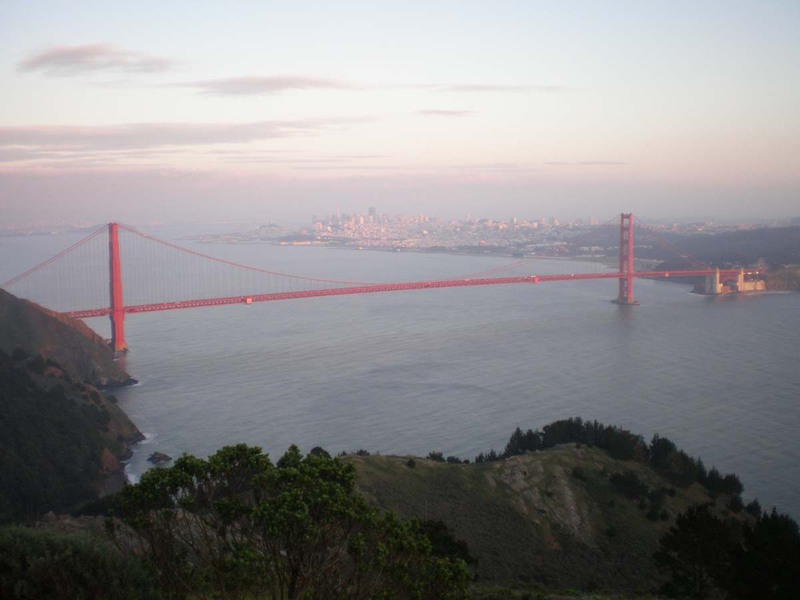 I’ve always wanted to go to California, in 2007 I went to San Francisco with my then boyfriend. It was a great trip. We stayed at a tiny hotel right in the middle of like everything, we walked all over the city. We found this amazing beer store and kept going back there, even spending some evenings there chatting with the locals. Although, I was really shy back then so I wasn’t doing much talking. Then we went on a winery van tour that was really fun. I hope to do that again sometime. I’ve always wanted to go to NYC, and then in November 2010 I went for like 3-4 days. It was a solo trip, I have a friend who lives in the city and I stayed with her and wandered the city alone while she worked. That was a really great trip, I can’t wait to go back sometime! My favorite place was Greenwich Village, I really enjoyed that area. 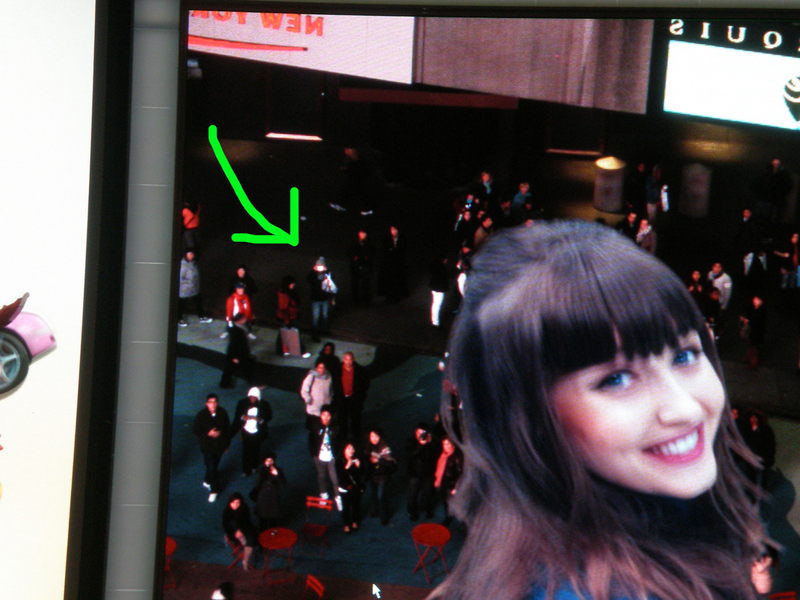 Thats me in Times Square! This is on the Forever 21 building. My brother has been to London and really liked it, it would be really cool to visit there. I don’t know much about it tho. I read the Karen Marie Moning Fever series (pick up a book at the library, they are a fantasy series and NOT for teens), and those books are based in Dublin. I would love to visit and see some of the places she mentions. Italy is definitely on the list. Its a pain I can’t eat pasta or regular pizza anymore, but for the wineries and the history, it would totally be worth it. My friend is there right now celebrating her anniversary. She is one lucky duck. I’d like to go back to California and spend more time going through the wineries. And maybe when its warmer, we went in February, right around the Chinese New Year, and it was windy and chilly most of the time. I actually bought a fleece when we walked along the Pier, it was so chilly. I prefer much warmer weather, so I’d like it to be high 70s! I can’t come up with any other place specifically. I do like to visit new places and try new things, so I am usually up to travel! This entry was posted in Uncategorized and tagged california, dublin, france, italy, london, nyc, san francisco, the wanderer, travel, traveling, wandering on April 23, 2014 by christinapertz1.